Ponemon reveals the substantial savings of integrated endpoint data management. To calculate the value of an integrated solution, Ponemon looked at five areas of cost savings and productivity improvements. 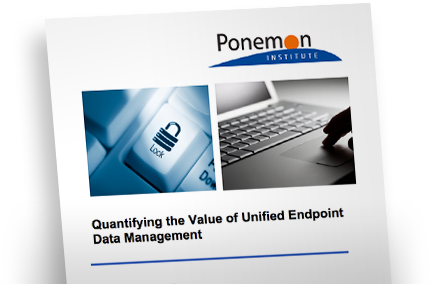 Access the report to learn the value of unified endpoint data management.